Atelier 801's new MMO is a free-to-play 2D isometric game called Dead Maze. Are you ready to face the undead when this title releases in early 2018? French developer Atelier 801 is known for creating successful MMOs. It MMO Transformice currently has over 80 million players worldwide. The team seems to be looking to take that success and move it to a new title. Dead Maze was revealed today with its first trailer. Dead Maze takes place only a short time after the world is ravaged by a plague causing the dead to walk among those who have not yet been infected. Those few survivors must scavenge for life-sustaining supplies and weapons if they have any hope of survival in this new and terrifying landscape. As a colorful 2D isometric MMO, Dead Maze asks players to band together for survival, finding and utilizing any of the over 500 items available to defend yourselves. You’ll also be able to take advantage of multiple classes through the equipping of different gear, ensuring that your party remains versatile no matter who you have on-hand. In addition to the hordes of undead that want your flesh, you’ll also be fending off hunger, thirst, injury, and disease, making it important that you monitor your status carefully. You may find it beneficial to eventually establish a camp and home to restart civilization. Just never forget that as your group grows, so do the masses of undead and they too are hungry. Dead Maze is expected to see a full release for PC in early 2018. The game will be a free-to-play MMO. 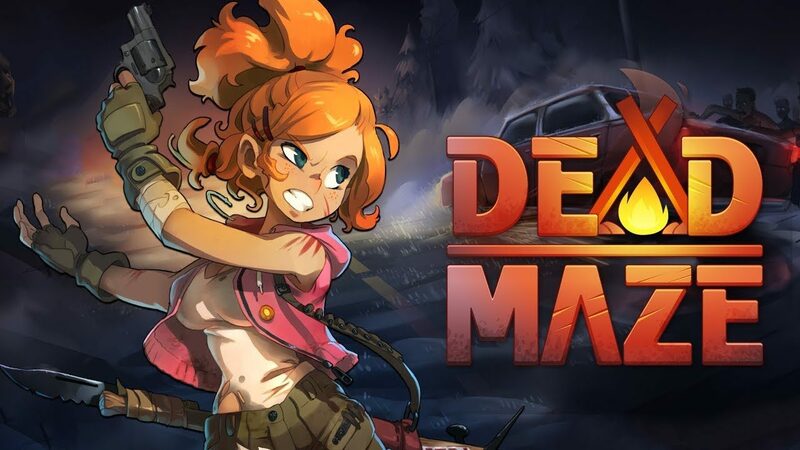 For more information on Dead Maze, be sure to stay-tuned to the game’s official website as it becomes updated or visit the game’s Steam page.